New research has shown that support cells in the brain can be utilised to heal and protect neurones, paving the way for the development of new medicine to treat neurodegenerative diseases. Tackling neurodegeneration remains one of the great challenges for modern medicine. Most of the major neuro-psychiatric conditions (such as epilepsy, Alzheimer's and Parkinson's diseases) involve a gradual decline of neuronal populations as neurones in the affected areas die. The scale of these problems and associated costs to society are a huge burden to society. This new research from the University of Bristol, published in the Journal GLIA has shown that specialised support cells within the brain called astrocytes (due to their star-shaped appearance), can be pharmacologically targeted to protect neurones from damage. Astrocytes are the 'house-keeper' cells of the brain which control brain metabolism, transport essential chemicals and balance ion composition. The team’s senior authors, Professor Sergey Kasparov and Dr Anja Teschemacher from Bristol's School of Physiology, Pharmacology and Neuroscience, found that astrocytes display receptors for a naturally occurring compound called prosaposin. 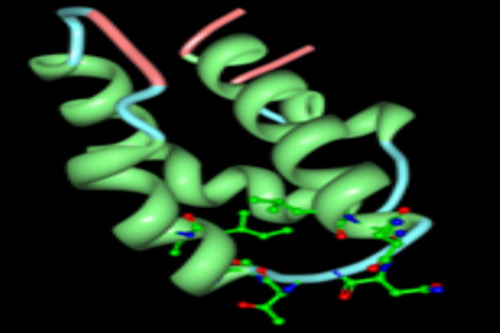 When prosaposin acts on these receptors, it engages their defence mechanism and protects them, and adjacent neurones, from damage. The authors, commenting on the work, said: "Academia and industry have been trying to find effective therapies against dementia and neurodegenerative diseases for decades, but progress been painstakingly slow. This might be because most of the proposed strategies are trying to directly target neurons to achieve a therapeutic benefit. "Our research has shown that targeting astrocytes may be an effective strategy to develop new neuroprotective drugs which could prevent or delay the loss of neurones, slow down cognitive or motor decline, and potentially enhance brain function."